One of the most chilling chapters in Thomas Friedman’s brilliant 2005 book “The World is Flat” discusses the ramifications of the globalization of science, and how quickly America is getting left behind. In addition to global “flatteners” (connectors) such as the internet, outsourcing, and yes, even access to free information via Google, Friedman details how hard third-world nations such as India and China work to attain supreme educations in math and science. On the one hand, they are producing more raw talent than ever, which often (due to lack of job opportunities and world-class facilities) finds its way into American (and Western) laboratories and corporations. On the other hand, it leaves American students and scientists ill-prepared to compete in a globalized economy based on information rather than raw production. (See Tom’s talk about global flattening at MIT here.) China will surpass the United States in patent filings by scientists by 2020. They are set to overtake the US in published research output even faster – in 2 years! Disturbingly, US teens ranked 25th out of 34 countries in math and science in the most recent world rankings, prompting President Obama to direct $250 million dollars towards math and science education. How that education is conveyed in classrooms is a subject of quite ardent debate. Clearly, science education, in its current incarnation, is not working successfully. Unorthodox curricula have been proposed by numerous academic institutions, and even implemented with success in some countries. Furthermore, the idea of iconoclasts and self-taught geniuses, left alone to ferment their creativity, is not new. Albert Einstein famously clashed with authorities in primary school (which he barely finished), noting that “the spirit of creativity and learning were lost in strict rote learning.” In 2009, self-taught college dropout Erik Anderson proposed a major new theory on the structure of spiral galaxies and published it in one of the world’s most prestigious journals. (See ScriptPhD.com’s excellent post on whether creativity can really be measured in the lab.) Enter the Google World Science Fair. 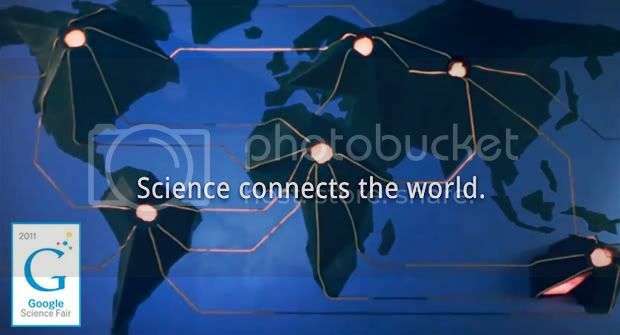 Capitalizing on the web and social media-driven knowledge of the current generation, they aim to not only expand on traditional well-known science competitions like Intel and Siemens, but to catapult them into the modern Internet era. Concomitantly, and even more importantly, as the fair’s organizers relayed over the weekend to the New York Times, they wish to improve science and math education in America incorporating a brand that many kids are already familiar with and use with ease. Why not infuse the excitement of a Google search into the staid, antiquated methodologies afflicting much of math and science curricula today? The impacts of science and independent experimentation are wide-reaching and powerful. During a gathering of scientists, students and judges on the day of the science fair announcement at Google headquarters, African self-taught scientist William Kamkwamba shared how from a library book, he was able to build a wind mill that powered his large family’s house, brought water to his impoverished village, but then taught other villagers to build wind mills, and by proxy, improved schools and living conditions. Who knows how many of this year’s global entrants will make such sizable contributions to their communities, or even, as they’re encouraged to do, solve global-scale afflictions? The submission deadline for the 2011 online global science fair is today, April 4, 2011. All information about submission, judging, prizes, and blogs about entries can be found on the Google Global Science Fair homepage. 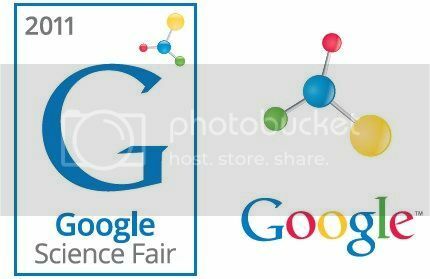 The site also offers resources for teachers and educators looking to gain ways to bring the essence of Google’s science fair into their classrooms. You can also track all projects, as well as interact and exchange ideas with other science buffs, on their Facebook fan page and Twitter page. ScriptPhD.com encourages all of our readers, clients, and fans who either submitted entries by the deadline, had their kids enter, or know someone who entered the competition to come back and tell us about the experience on our Facebook page. We’d love to hear about it! We wholeheartedly support programs that promote science and innovation, especially applicable to mitigating global social and technological obstacles. Our consulting company mantra is that great creative enterprises are fueled by great ideas. So, too, are science and technology. As such, we applaud Google for reinventing (and virtualizing) science outreach to encourage ideas and transform an entire generation of scientists, regardless of location, education or perceived ability. And if you’re bummed that you missed out on this year’s competition, think of it this way: you have plenty of time to prepare for 2012! This post was sponsored by Unruly Media.